Tech N9ne’s face said it all. 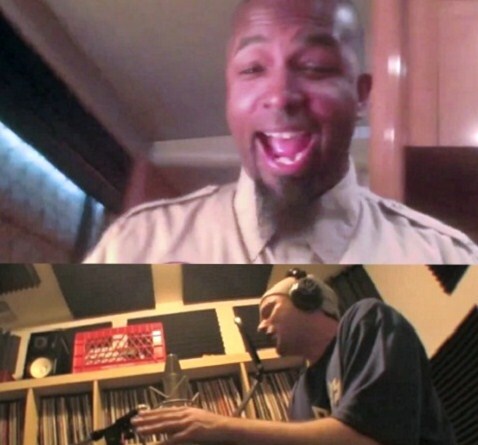 Following his appearance on the Strange Music Podcast, Suburban Noize’s own Underrated of Potluck recently came through on his promise of a “Worldwide Choppers” remake and dropped a full length music video featuring Tech N9ne’s reaction to the track. First premiered by The Source, the music video features Underrated doing what he does best – choppin’ it up. The rapid-fire emcee delivers stunning bars over Tech N9ne’s original “Worldwide Choppers” at a feverish pace. Said to have been blessed by Tech N9ne himself, the remake left the Kansas City King with only one word: “Wow!” With all of the recent speculation on a “choppers” sequel, this remake could not have come at a better time. Strap in and check out Potluck’s ode to “Worldwide Choppers”! Would you ever like to see Underrated on an official “choppers” track?